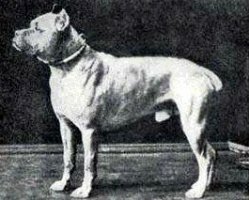 There are various good Boxer Dog books available that describe the beginnings of the Boxer breed. 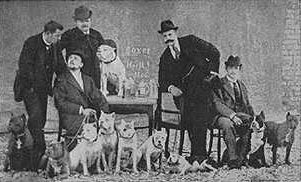 However, not all these books show all the pictures of the important early Boxers. The idea of this page is to bring those pictures together for easy reference. The Boxers listed here have a number following their name. 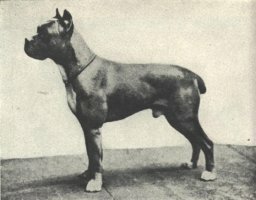 This is the "Deutsches Boxer Stammbaum Number" (Stammbaum means Family Tree). If you have any or know the location of any missing pictures, then please e-mail me. 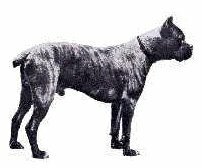 It was once called 'Boxl' and 'Boxer' is a corruption of this word. Because of the habit of fighting and playing with its front paws. 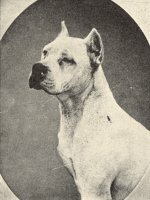 Several were white, some were white with patches of brindle or fawn (the Germans called it yellow). Others were black. 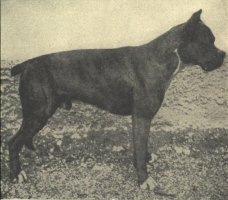 Produced three dominant stud dogs (by different sires). 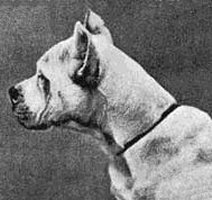 Typical in head with well defined chin, deep stop and good expression. 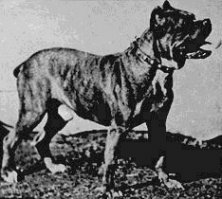 He was the old heavy type dog but was endowned with great temperament. First of Meta v. d. Passage sons who became a dominant stud dog. 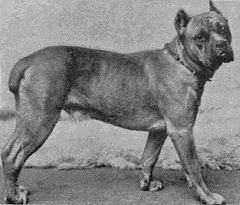 Second of Meta v. d. Passage sons who became a dominant stud dog. 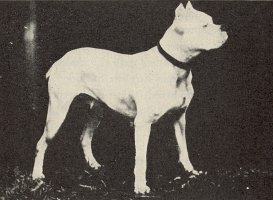 His arched back gave to the breed the term 'Gigerl roach'. 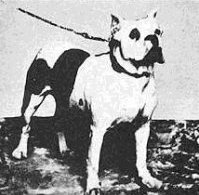 Third of Meta v. d. Passage sons who became a dominant stud dog. Stood nearly 24 inches at the shoulder, one of the largest Boxers of his time.